Our cheese platter change regularly. 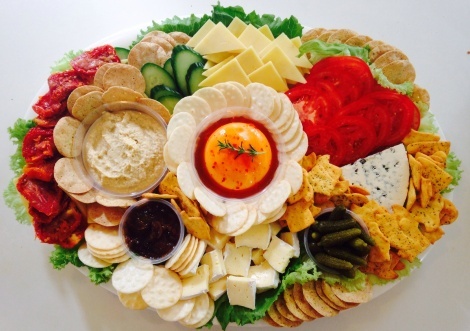 This platter is packed with all you need to create your own masterpiece to your taste. 4 Cheeses, relish, freshly sliced vege, sundried tomato, gherkins and more. Your platter may not look exactly the same as this but will be very similar.